Students attending Russian language lesson at Peoples’ Friendship University of Russia. The first educational programme of the BRICS Network University has been approved for 2017. It will be employment-generation oriented and involve imparting skills to facilitate interaction between foreign employers and universities. Among the main issues discussed at the Peoples’ Friendship University of Russia (RUDN University) at an international conference on “BRICS: Cooperation to achieve development; Network universities and the international labour market” was interaction between universities and foreign employers in recruitment, training and subsequent employment of foreign students, and the development of linked educational programmes. The Network University of BRICS countries (Brazil, Russia, India, China, South Africa) is being created according to the schema of similar projects already in operation – run by the universities of CIS and the Shanghai Cooperation Organization countries. The main element of the universities in the network is their academic mobility programs, where students from one country can study in another country. The first programme of the BRICS Network University will begin in 2017. Students of the BRICS Network University will have the opportunity to be study not only in the university in which they have been admitted in their home country, but also in a foreign partner institution and, upon the successful completion of their education, they will receive two diplomas. “This involves network cooperation in master’s and graduate programmes, as well as possible joint scientific projects and scientific research work. 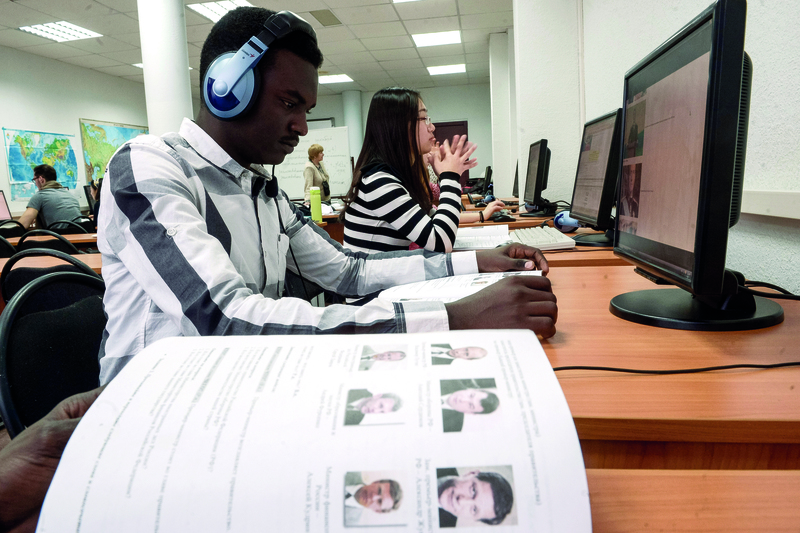 BRICS is launching its own personnel training incubator, and five countries that are part of this union, including Russia, Brazil, India, China and South Africa, are now creating the largest educational space,” explains Larisa Efremova, Vice-Rector of International Academic Mobility at RUDN University. The BRICS Network University will train specialists for the national economies of the countries involved in this project. “For example, South Africa does well in monitoring the situation on issues related to the training of specialists in areas of its own interests, while the Peoples’ Friendship University of Russia has taken on the priority of training personnel in the medical specialties, in agronomy, and in veterinary medicine,” explained Efremova. At the moment, the leading universities of Brazil, Russia, India, China and South Africa have been selected to participate in the BRICS Network University, a total of around 50 different institutions of higher education. From Russia, more than 10 universities are participating, among them the Peoples’ Friendship University of Russia, Lomonosov Moscow State University, Higher School of Economics, St. Petersburg State University, Ural Federal University, Tomsk Polytechnic University, and a number of others. Around 150 participants, from more than 20 countries, representatives of the national education ministries of the BRICS, CIS, and SCO countries, embassies and government agencies, and employers interested in training specialists and their future employment, attended the conference, held October 26-27, 2016.